We have helped hundreds of small and medium sized businesses and non-profit organizations grow and reach customers using their website, social media and other online marketing tools. We design a website to meet your specific goals and needs. And we build your site using WordPress so that you can update your own content in-house. We will train you so that you feel comfortable doing that. We also offer maintenance plans to save you time if you prefer. We are a great fit for small to medium businesses and non-profits. We are reliable and finish on time and on budget. We've been designing websites for 20 years. 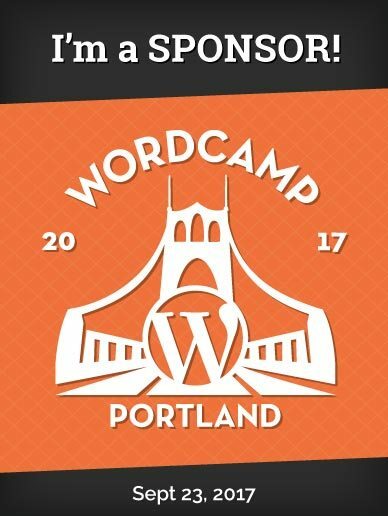 We've been using WordPress for almost a decade. We come from a marketing business background and like to think outside the box. We listen carefully and follow up in a timely manner. We are typically less expensive than larger firms. We design with your goals and results in mind. We love what we do! And we love helping our customers be sucessful. I am a native Oregonian and a graduate of Oregon State University - Go Beavs! Before starting my own website business, I worked in marketing and advertising at companies like PayLess, Nike, Grocers Insurance and the Hillsboro School District. I love to design and code, because I get to be both creative and a problem solver at the same time. And I love working with organizations to build their business, connect with their audience and provide different ideas and ways to be successful reaching their goals.